Dementia poses unique and evolving challenges for those living with the condition, for their families and for their carers. Dealing with these can be stressful and emotionally challenging for all concerned. At Little Brook House we have a wealth of experience in dealing with dementia and related issues. Our dementia trained staff will develop a tailored care plan with you that deals with these problems respectfully and sympathetically. Dementia care can often fixate on the illness and accompanying loss of function rather than the person themselves. This exacerbates problems and leads to much frustration and stress. People living with dementia respond far better when their care promotes their independence and affords them dignity and respect. Our Person Centred Care model is built on a relationship of trust between the carer, the person being cared for and their family. The Care Plan acknowledges the key life events, career, hobbies and interests, likes and dislikes of the person impacted. Family members play a vital role in this process, supporting their loved one in making decisions about how their care is structured and delivered. We ensure that all of these are fully respected in the Care Plan. A designated key worker is responsible for the planning and delivery of care, helping to provide continuity in both the relationship with the resident and the management of care. 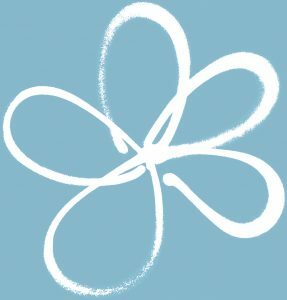 All of our staff are Dementia Friends and are trained in how to communicate effectively to help residents express their needs and wishes. Our Dementia Champion is responsible for staying abreast of best practice in dementia care and evolving our care model. The Care Pan identifies activities our residents already enjoy and we try to ensure that these continue to feature as part of their day to day life. The home has designated quiet spaces and Reminiscence Pods that offer a peaceful environment where staff engage with residents to talk and, when necessary, comfort them in times of anxiety. Family members help construct Reminiscence Boxes and scrapbooks containing familiar objects, images and other visual cues. These provide great comfort and support to residents in times of confusion and anxiety. We actively promote everybody to participate in the life of the home. We encourage all residents to take responsibility for those aspects of their personal care that they are able to manage. We believe this makes their experience of care positive, rewarding and fulfilling. This is particularly true for residents living with dementia. If you have any specific questions about our Dementia Care capabilities please visit our Contact Us page where you can call us or email us with your query and we will be only too happy to help. Having found this home last year when I visited knowing that in the future this is where I wanted my Aunt to be. When the time came and we had a shocking few days in February when she went out alone with no keys and in her nightwear and got picked up by the police, the phone call was a real shock and having already arranged to be interviewed by the most amazing staff, they were so lovely, full of empathy to my own situation having to take my mum into care. The kindness and swift way they moved made me cry with relief. I am so grateful, so happy with her care, I can speak to anyone, everyone has time to answer any questions. I can breathe now, awesome place.